Too many times I’ve read people on Twitter and Facebook complaining about how wearing a rain poncho makes them look ugly. Are you kidding me? 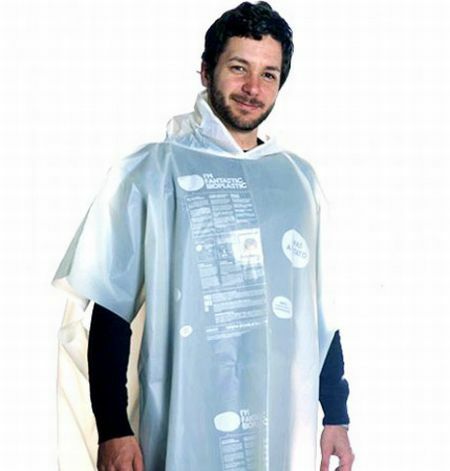 Rain Ponchos are the up and coming fashion trend of 2012. I have no magazine support to back up my opinion, but come on people, they are downright attractive. Take my trip to Niagara Falls for instance: Everyone there is on board with the new trend. Everyone in Buffalo, New York wears a rain poncho and a smile everywhere they go. 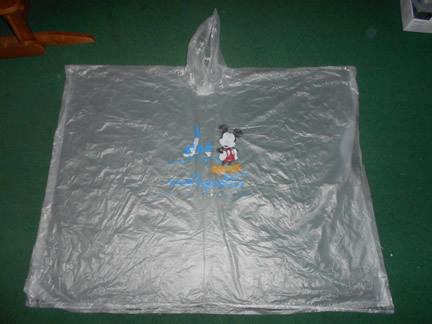 Some people have a problem with the excess amounts of materials that a rain poncho has on it, but my defense is that they are one size fits all. All the rain poncho is trying to do is protect your legs from the rain, it’s not really trying to restrict your movement to a waddle. 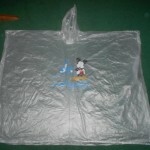 They are even offered in multiple colors, can come with a custom design put on it, or even have sweet designs like this Disney World water stopper. town. This picture of the kid in a rain poncho to the left, tell me: do you think he is going to a wedding, or walking to his college class in the pouring rain? In my opinion he could probably do either, but a lot of folks seem to think that he should only be wearing that if he is going out into the rain. 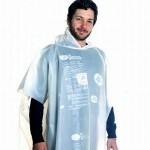 I consider myself a trend setter in many ways, and the rain poncho is definitely going to take over as the popular fashion trend of 2012 and 2013. Thanks Michael. That is an idea, would be fun to start seeing people wear them around!